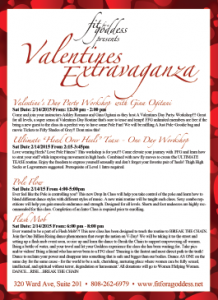 Click the pic or here to sign up for the March 17th workshops – don’t miss this amazing lady!! 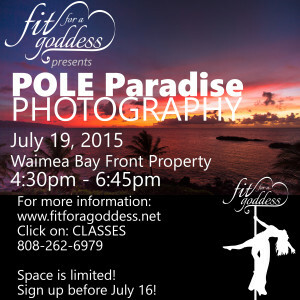 Click the image to sign up on FFG’s MINDBODY portal! 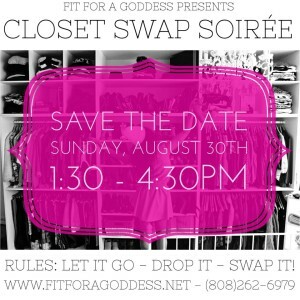 It’s our First Annual Closet Swap Soiree at the Fit For a Goddess Studio on Sunday, August 30th from 1:30 – 4:30pm! 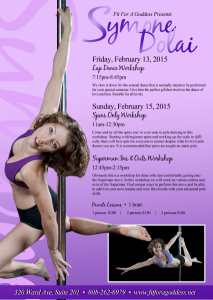 Click here to sign up on FFG’s MINDBODY portal!! Drop all of your clean clothes, bags, shoes & accessories at the Fit For a Goddess Studio by Sunday, August 23rd @ 12pm. Your items will be tallied up & you’ll receive a ticket with the amount of items in swapping credit you’ve earned. On Sunday, August 30th get ready to swap with a room filled with your fellow goddesses. Participants take home the amount of items marked on their tickets & leave happy with a whole new wardrobe. So skip that next mall trip & get your swap on with your fellow goddesses while enjoying some fresh pupu’s, prizes from our sponsors & a new wardrobe! 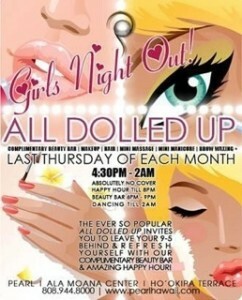 For more information on our Closet Swap Soiree call (808)262-6979!